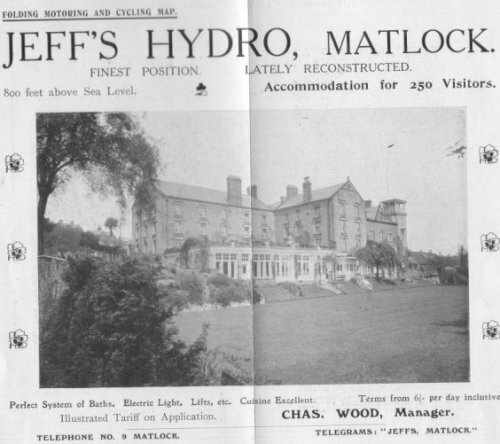 Unposted but pre-1914. 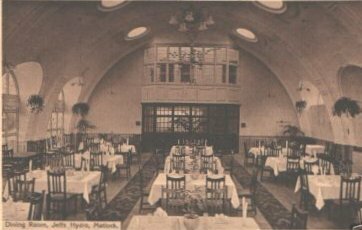 "Dining Room, Jeff's Hydro, Matlock"
From "The Borough Guide to Matlock", published about 1905.. Jeff's Hydro was opened in 1857 with over 200 beds, the name was later changed to Chatsworth Hydro. 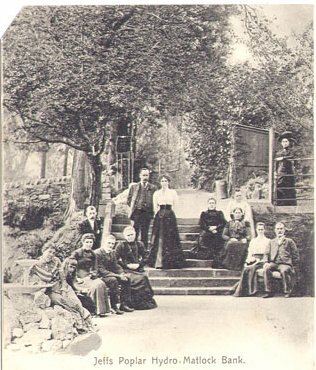 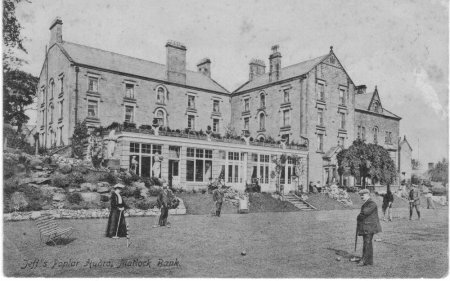 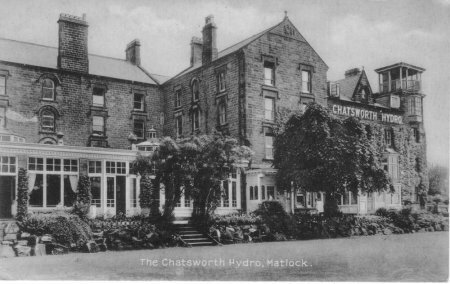 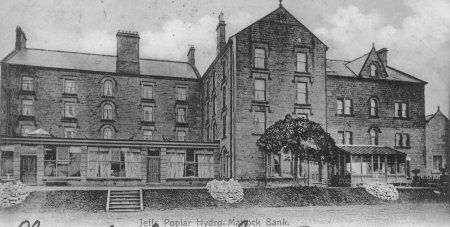 It was used as a hospital in both world wars and then became part of Matlock Training College. 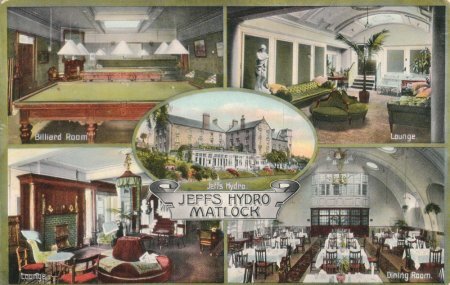 See: Aunt Meg's letter 1931.